The quantum realm, alien invaders, and a magical adventure. Hollywood is gearing up for some big releases this month, kicking off with Marvel’s weirdest and most unusual movie yet. But that’s not all. From the sci-fi lover to animated fanatics, there will be something for everyone this month. Personally, I’m most excited to see Fantastic Beasts. Which, by the way, is just the start of an expanded universe. There are a lot of movies not on this list you should check out, including Hacksaw Ridge, Allied, and The Edge of Seventeen. But we can only handle so many movies, so we’ve narrowed it down to a handful. What are you most excited to check out? Marvel’s next origin story. In Doctor Strange, audiences will be introduced to another arrogant character without any redeeming quality. Until, that is, they come close to death and have an epiphany. 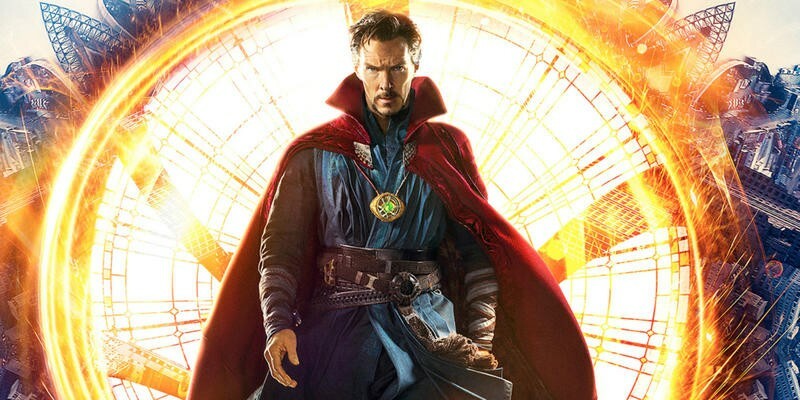 Benedict Cumberbatch stars as Doctor Stephen Strange as he takes audiences through a trippy, magic-filled journey through multiple dimensions. Minions was successful, so why can’t Trolls be as well? No, this isn’t a movie about mean internet comments. Blending music, humor, and a rainbow of bright colors, Trolls is the kind of movie that will likely drive parents mad, but delight kids of all ages. Hopefully, this will be better than the disaster that was Angry Birds. Billed as the next great sci-fi thriller, Arrival follows the story of Dr. Louise Banks as she attempts to translate the language of alien invaders. Not much has been revealed about the film but several reviews have already hit and the majority are positive. With Amy Adams, Jeremy Renner, and Forest Whitaker starring, it’s easy to see why Arrival makes for such compelling entertainment. Fantastic Beasts and Where to Find Them is the next chapter in the Harry Potter universe. Only, this movie won’t have anything to do with Harry and He who shall not be named. Instead, it’ll follow Newt Scamander (Eddie Redmayne) as he traipses around New York City looking for fantastic beasts. Disney Animation impressed audiences with Zootopia and the studio is looking to repeat that with Moana, a story about Polynesian culture and one young woman’s quest to find a fabled island. Dwayne Johnson will star as demi-god Maui, with newcomer Auli’i Cravalho playing Moana.